THis post cracked me up. I also makes jam, and rarely if ever eat it myself!!!! Funny thing is that I was thinking of making raspberry jam this week. Yummy! My Hubs would love the blueberry banana jam... It sounds delightfully different. Ooo, the spiced blueberry jam sounds divine! 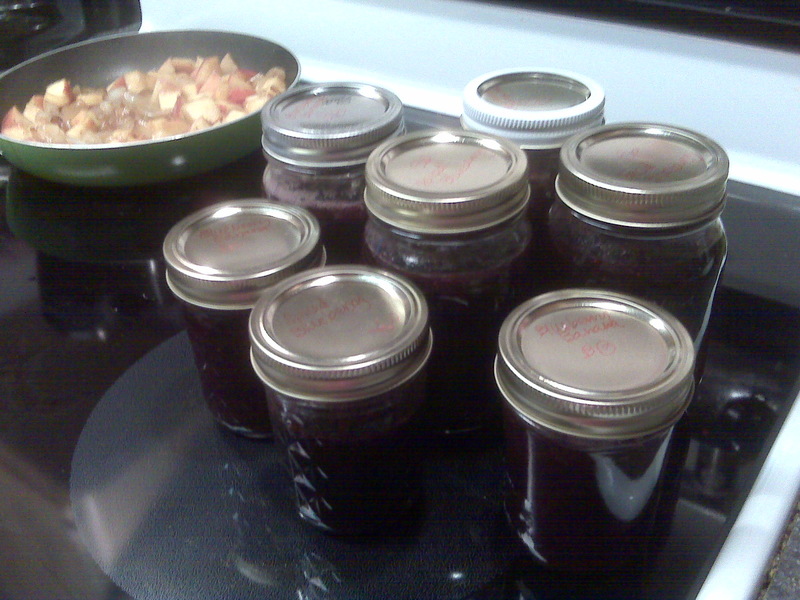 I've never made jam myself, but it's apparently a common activity amongst my group of friends oddly enough. And have you ever tried jam in your smoothie? Or even pancake batter? I add it to both, and they really can add a nice extra punch of flavor to my smoothies and pancakes. I also hardly ever use jam, so it's a good way to use up the jar of smuckers i have stashed in the back of my fridge. Spiced blueberry jam sounds delicious! I enjoy making jam and it is great for gifts.